In April 2015 duo of Van-Anh Vo and Chris Brown will be featured at the Hanoi Sound Stuff Festival, where they travel with support of a USArtists International grant from the Mid-Atlantic Arts Foundation. Van-Anh Vo and Chris Brown are musicians and educators who have known each other for many years and recently begun to collaborate on stage. Their contrasting cultural backgrounds and specializations provide starting-points for a hybrid musical practice enabled by improvisation and electronic media, and bridged by mutual interest in both new and traditional musics. While teaching classes in non-western music traditions at Mills College in Oakland, Brown hired Vo’s Vietnamese ensemble to perform at Mills College in 2004. This meeting led to discussions about melodic ornamentation in Vietnamese music, and Vo’s interest in creating a notation for these ornaments, which does not yet exist in Vietnamese music, which she thinks could help to preserve and teach these aspects of traditional music to new generations of Vietnamese musicians. Brown wrote software that tracks these ornaments electronically, creating graphical shapes that can be used to represent them. He then applied these shapes to computer-synthesized voices in creating their first collaborative work “Two Left Hands”, which premiered at Mills College in November, 2013. 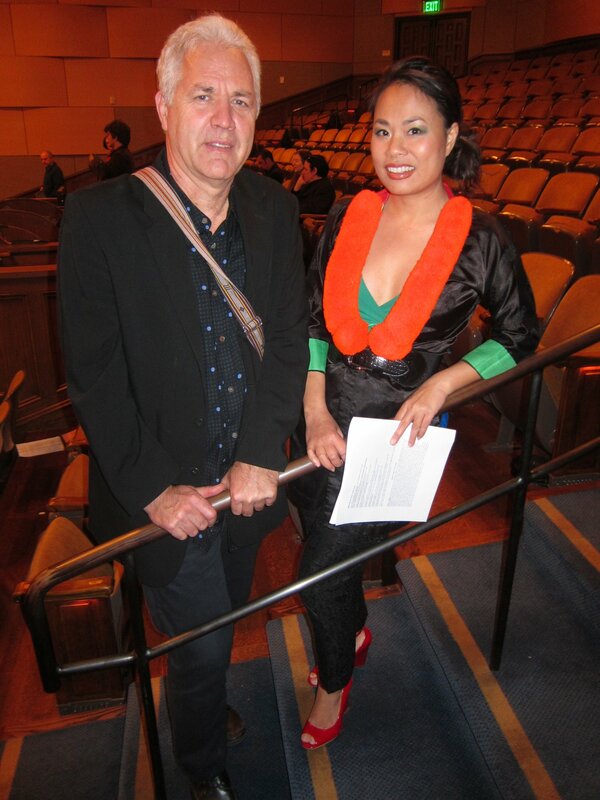 Vo and Brown have since continued to refine and perform this piece in concerts featuring both traditional Vietnamese music and electronic works. The mission of Vo and Brown’s duo is to preserve and celebrate the melodic qualities of Vietnamese traditional music in the context of new electronic music.